A couple of months ago there was something I really, really wanted. I’d had a job interview for what I thought was an exciting opportunity. I had a great feeling when I left the interview. I’d interviewed with two different people, and we seemed to hit it off perfectly. We’d even talked about the training program, and the places we’d call on during that training period, and all the fun we’d have during the process. The salary was great, and the benefits were more than I’d imagined. The decision was going to be made the following week. So I wrote my thank you emails, and then I waited for the phone to ring. I didn’t get a response back from the emails, but that really wasn’t that unusual. At least so I’ve experienced, in this day and age. I figured I wouldn’t hear back from the decision maker until at least the middle of the next week, because I’d been told a decision would be made by the end of the week. So as the days went by, I waited, somewhat patiently, at least for a while. After all, I hadn’t really been looking for a new job, but this one had just come across my email, and someone said I‘d be perfect for it, so, well, why not try? The phone never rang, and the email never came. In fact, I heard absolutely nothing back. Not even a “thank you so much for talking to us but we chose someone else”. Just silence. And then I started really thinking the worst about myself. How could I have been so wrong? I’d even prayed over it every night, and asked God to please, PLEASE let the answer be yes. I even thanked Him in advance for the new position. I imagined myself in that new job, and even planned what I’d do with the pay increase. God didn’t answer my prayer. Sometimes His answer is “no”. And that’s not what we want to hear, because we really think we know best; that we know better than God does. And we make sure we tell Him that. I’ve written about this before, but it’s important to write about it again, especially in this particular instance. Because it wasn’t my time. And it wasn’t the job He wanted me to have. He had something much better in mind for me, and He knew that I wasn’t ready for it yet, because He still had certain things for me to accomplish in my existing job, before He could release me into the next one. And He did just that, and quite by accident, or so I thought. But then again, the Lord never does anything by accident. It’s all a part of His plan for us. I answered another email that someone had sent me, even though I figured nothing would come of it, and as a result of answering that email, I started my new position this week, with an even better pay increase, and much closer to home, which will allow me to spend the time I want to spend with my new granddaughter when she arrives next month. That’s just how the Lord works. He knew when the phone was supposed to ring, and who was going to be on the other end of it. And He made that phone ring when I was least expecting it. 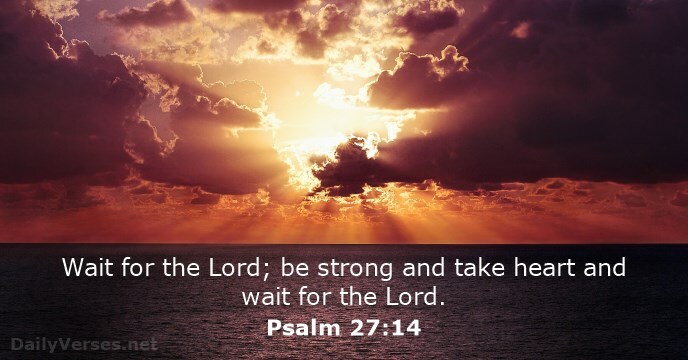 Psalm 27:14 tells us to “Wait for the Lord. Be strong and take heart and wait for the Lord.” I wasn’t willing to wait, but He made me wait. Because He had something so much better to give me. Waiting is difficult. We are by nature impatient. We want what we want, and we want it now. Or better yet, yesterday. We want that phone to ring, and sometimes the silence is deafening. 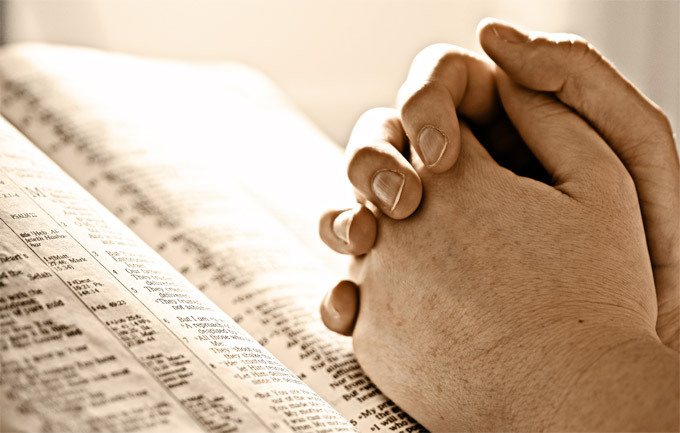 We think God is ignoring us, and even begin to feel that He’s deserted us. That’s when He shows up. At just the right time. Because it’s His time, not ours. If you are standing in faith for something, and praying over it, waiting for something to happen, don’t give up. It’s not done in your time; it’s done in His. That phone is going to ring, and when it does, and you answer, you’re going to get exactly what you need. Very well stated! He had his plan for you and just reveled it because he knew the timing was correct.